In any case, that’s why I think it’s brilliant that Punkpost exists and hope it spreads wildly! 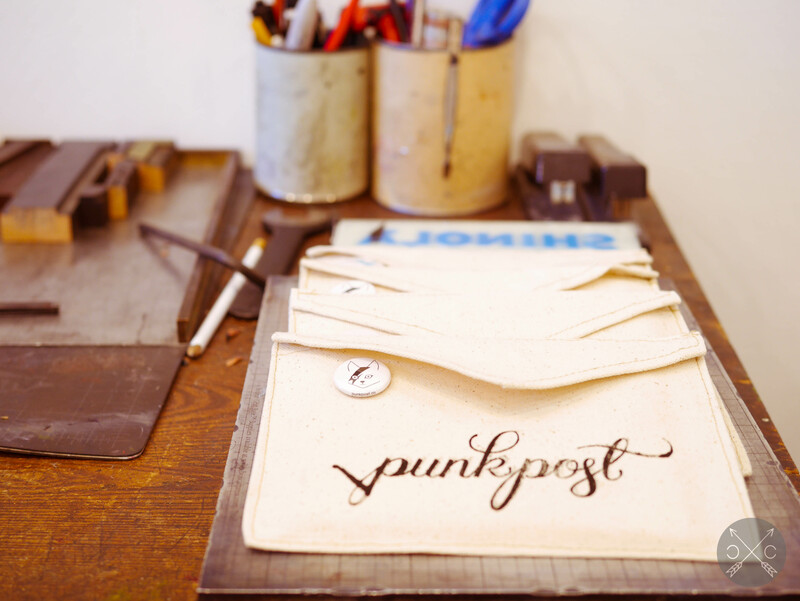 Punkpost is an app that takes out all the inconveniences in sending handwritten correspondences so you can send a message to anyone at any time. A community of artists, writers and designers will create the card for you, so quit making those excuses about time and effort, and just show your loved ones that you care. Easy peasy. 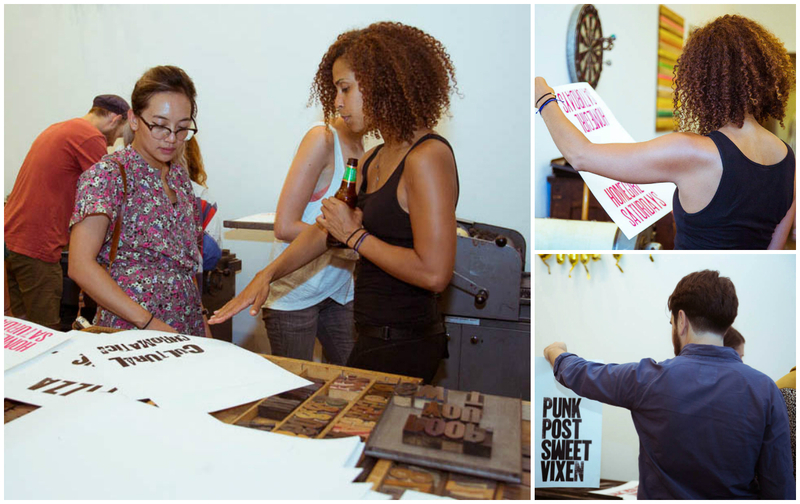 Alexis and her husband, Santiago, both left their jobs to focus on creating Punkpost. Drawing on their passion, they have built a community both inside and outside of the app – occasionally hosting pop-up events. Having worked together at Brit + Co, Nanette recommended Alexis’ upcoming class. 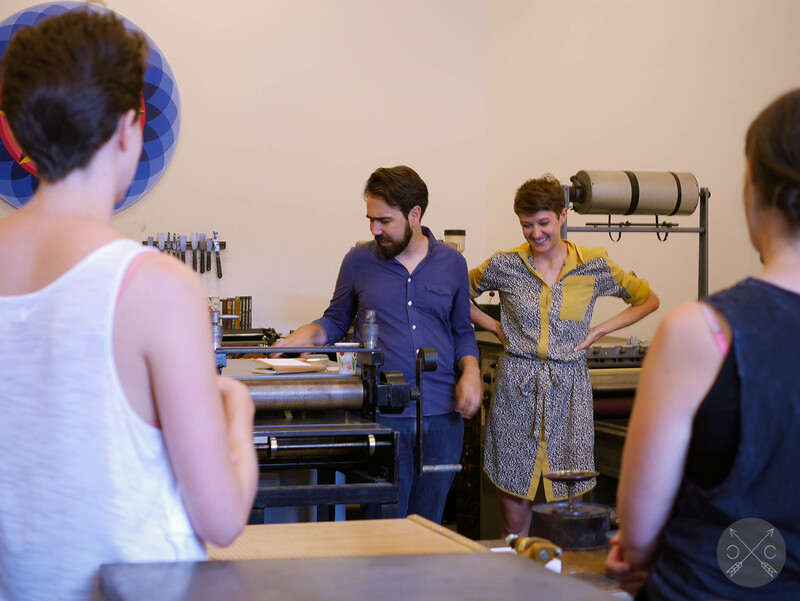 They were visiting all the way from SF to host a free letterpress workshop so, naturally, I had to attend. The class filled up instantly with only 15 slots available. 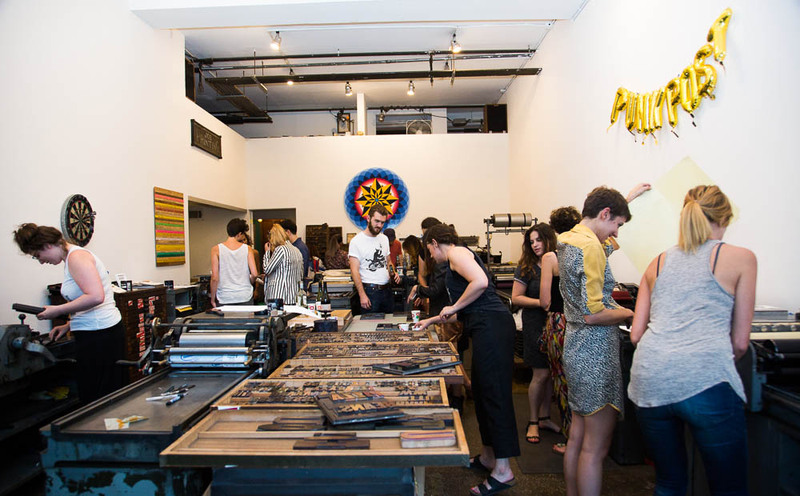 They hosted the class at The Arm Letterpress in Brooklyn – a beautiful and public space where creatives can learn and continue their practice in the art of letterpress. It was impressive to walk into The Arm and see letterpress machines at this scale. The owner, Dan Morris, spoke briefly of the shop’s humble and endearing beginnings. 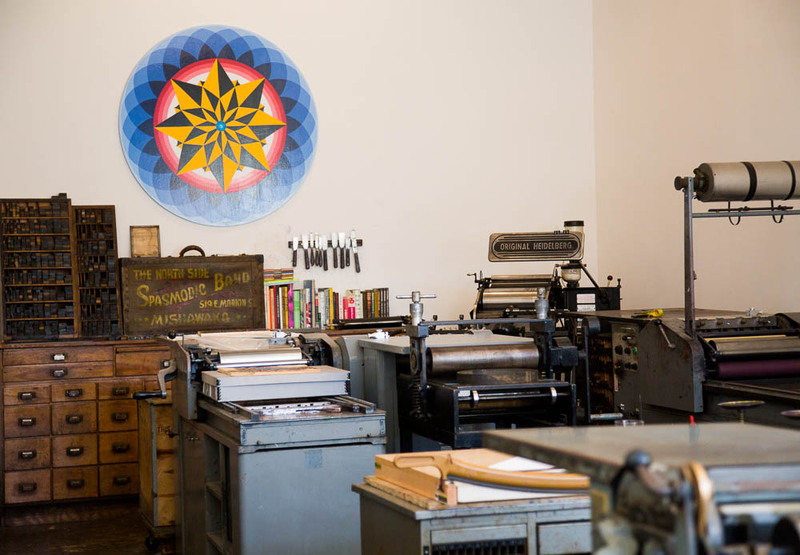 Packing his bags from Ohio, he converted this old garage into a letterpress studio and moved his dad’s machines and type pieces here. A classic mom-and-pop-like shop with a lovely craft passed down from four generations. Now, he shares his unique expertise and space with the public. Alexis and Santiago also got a chance to share their own sweet story about Punkpost. Afterwards, we dove right into the lesson. 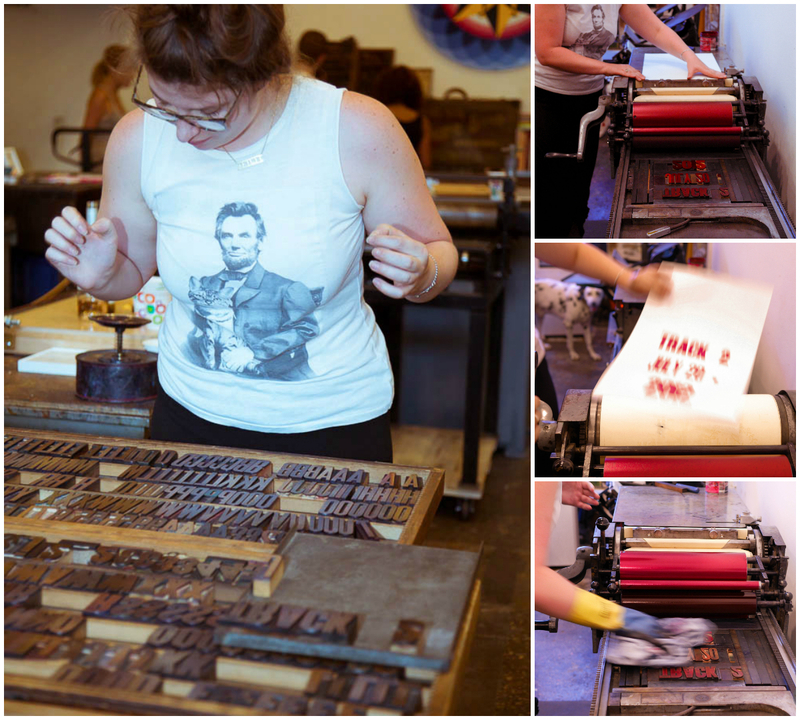 At this point, some of you may have been wondering this entire time… what is letterpress? Well, glad you asked! 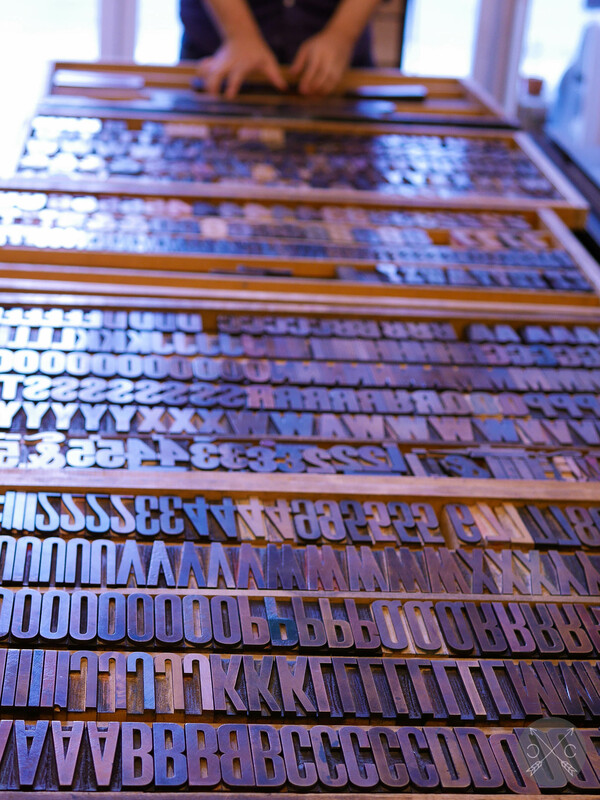 It’s a form of printing in which movable type pieces (made of wood, metal or other materials) are pressed onto paper, often with ink – hence, letterpress. Depending on the pressure you place between the type pieces and paper, you can get a relief from the pressure and feel the pressed letters on the page. Neat, huh? Now that we’re up to speed, we started on our projects immediately after the demonstration. Strangely, this was the hardest part – trying to figure out your message. It’s like shopping with unlimited options. For me, this is my worst nightmare since I am constantly crippled by indecision. Don’t even dare to ask me to choose a restaurant! Luckily… (it’s like the decision gods knew) my choice was pretty much a given. After choosing and perusing through tons of typefaces and pictorial blocks (so many options!! ), there came the next most difficult part – spelling backwards and playing tetris. We had to fill in all the gaps within our tray to keep the letters and pictures fixed in place. Believe me, this sounds easy, but it’s definitely not as easy as it looks. 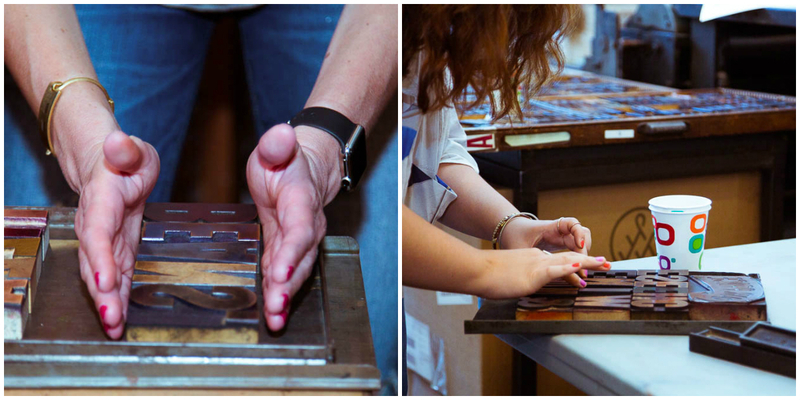 Many of us continually went back and forth trying to find the right pieces. 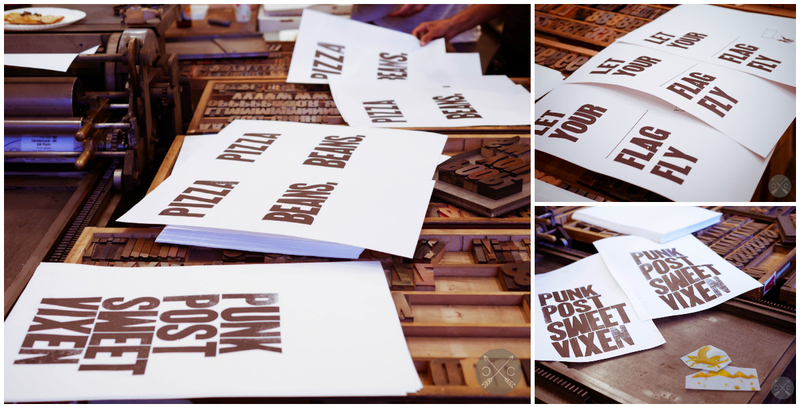 Once this was sorted, you could begin laying the pieces on the letterpress machines. We used the larger ones since we were printing on poster-sized pages, but there were smaller presses available. Then, we just cranked away. 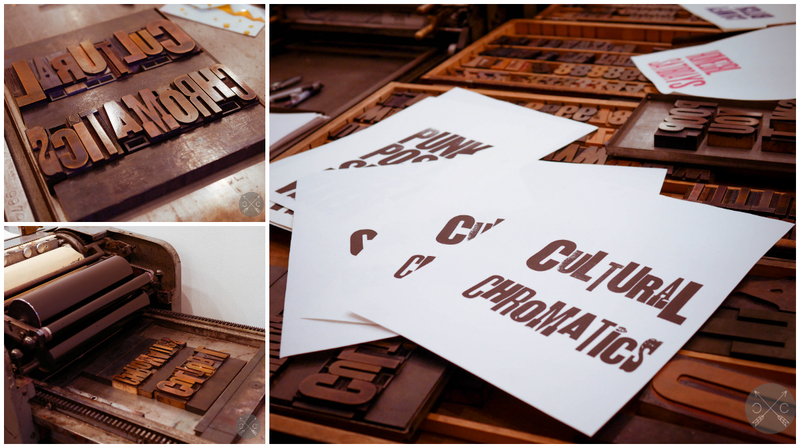 The machine had ink on a roller that evenly coated the type pieces and pressed them onto the poster paper. Voila! 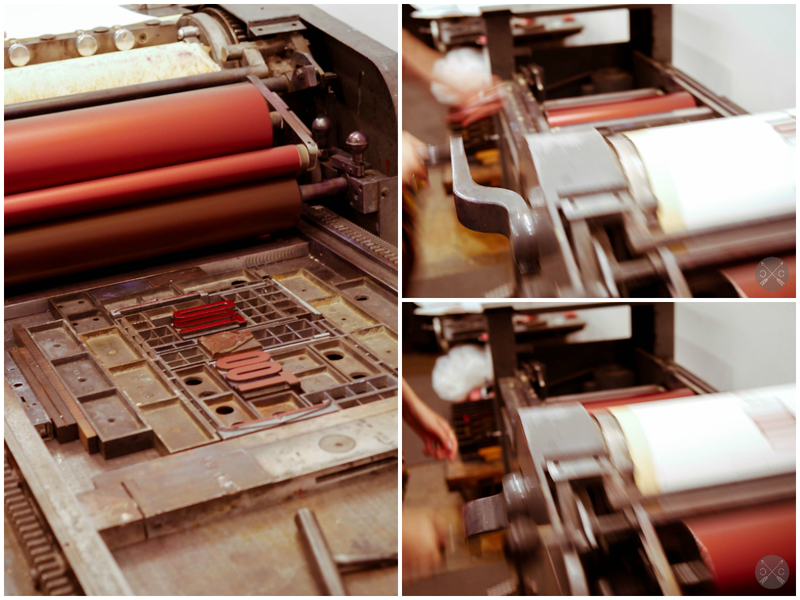 We were cranking away, printing all sorts of types and designs. 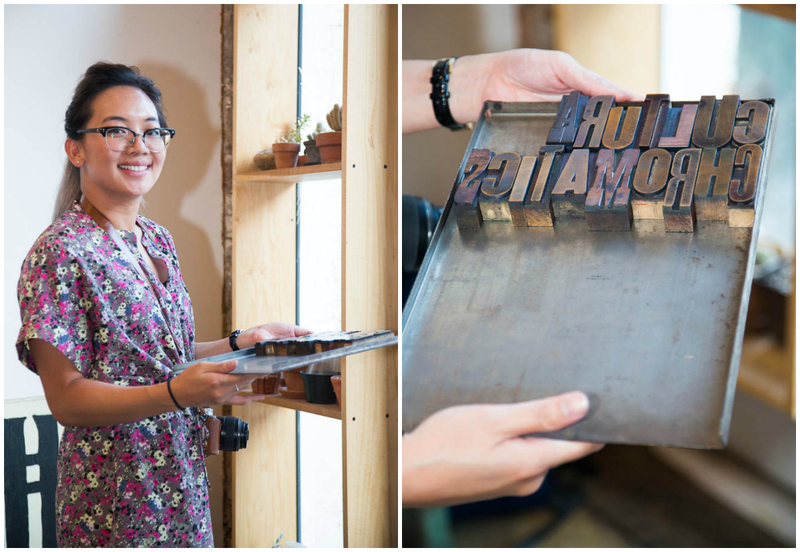 Our wood type letterpress turned out pretty awesome! 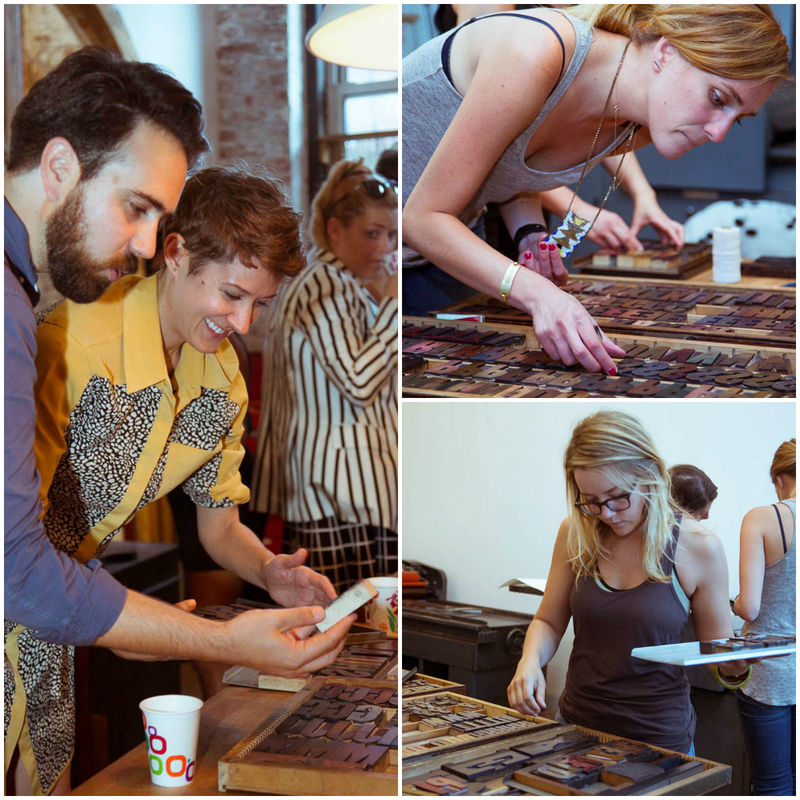 We all assessed our prints after it came off the press. 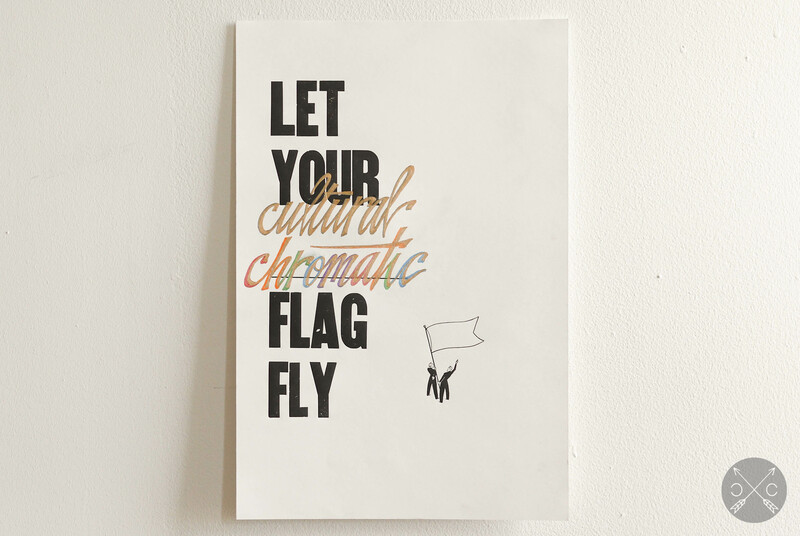 The particular imperfections of damaged type pieces and uneven pressures gave a nice charm to each poster. That’s what makes handcrafted items so unique, right? It was quite amazing to be surrounded by so many creative individuals. There were all kinds of messages: unique, quirky, clever, heartfelt, funny… all were so memorable. Rhoda from Paper Lantern Lit even gave me a copy of her awesome masterpiece to keep! That fill-in-the-blank is so cool, right?! Hope this inspires you guys to take a stab at letterpress one of these days. 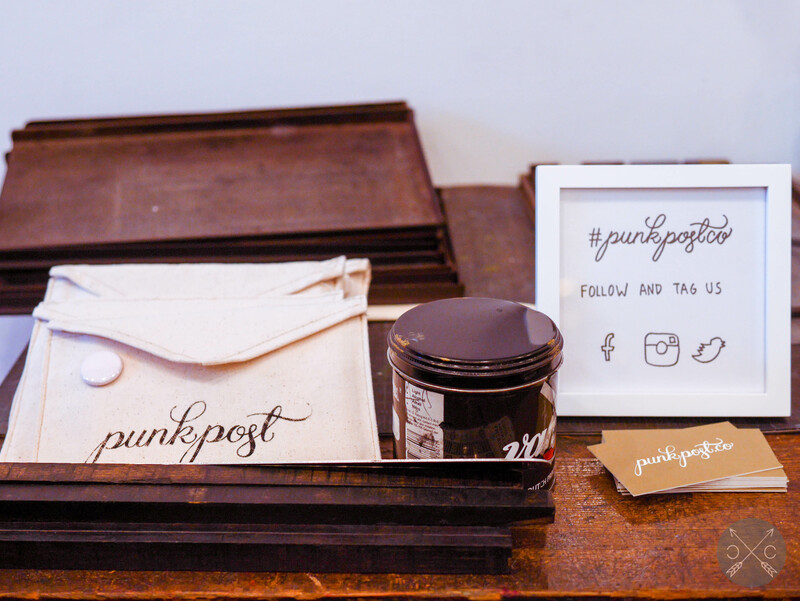 Make sure to check out Punkpost for more events and send a message to someone special through their app!